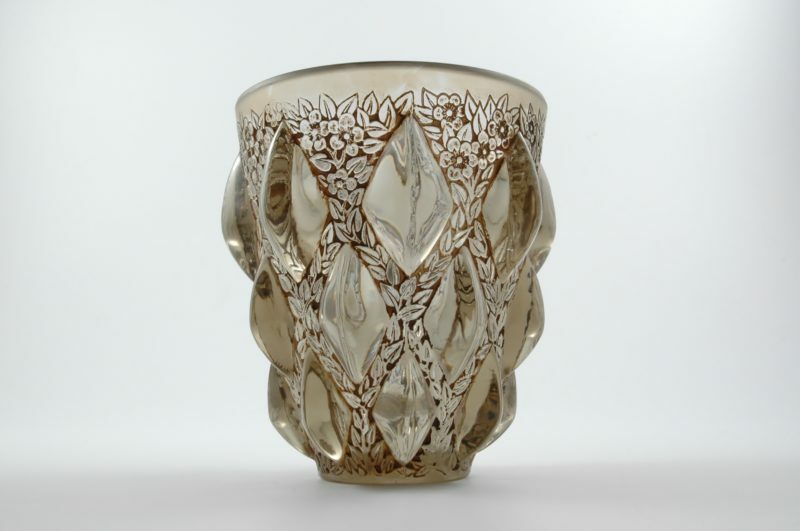 Rene Lalique ‘RAMPILLON No 991’. 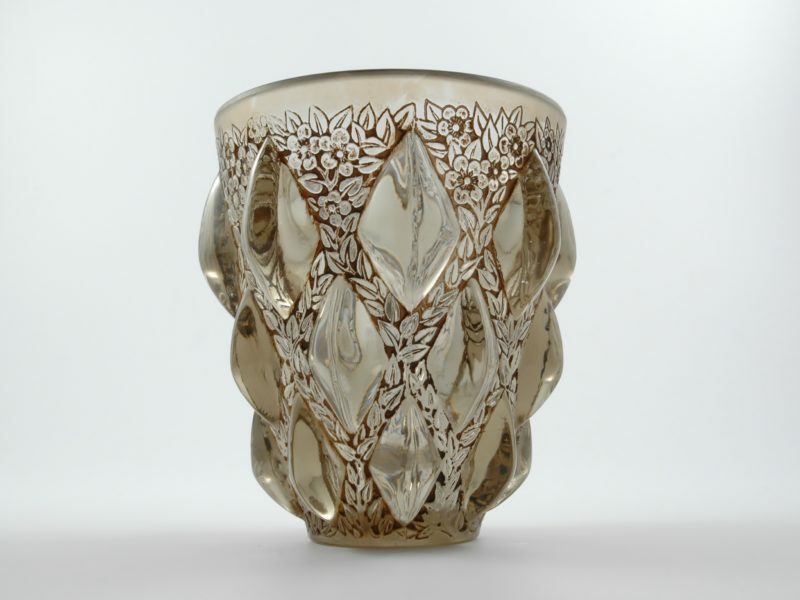 A clear, frosted and smoky stained vase. 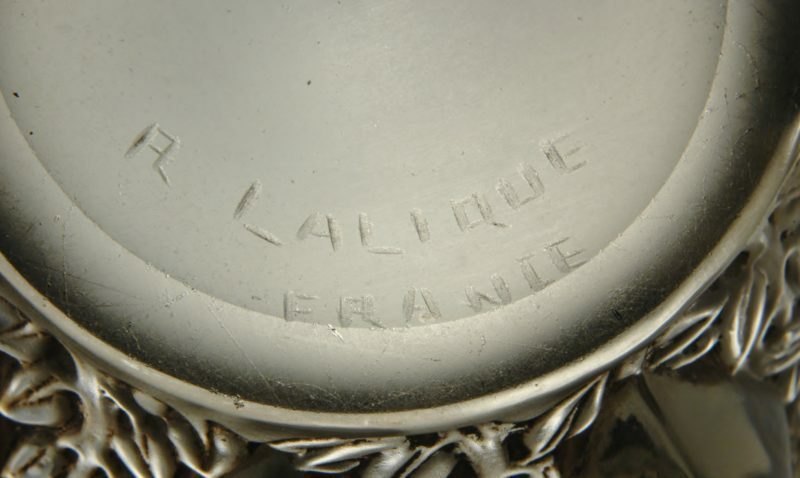 Engraved- “R. 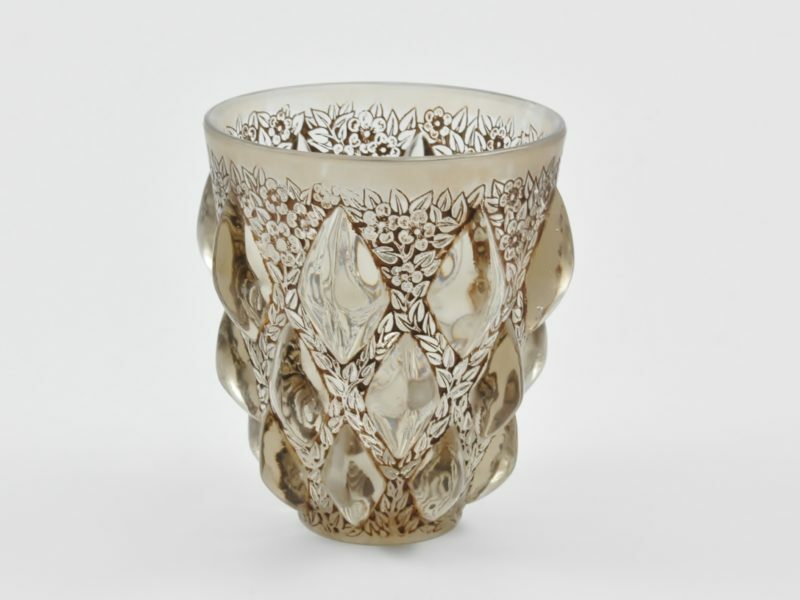 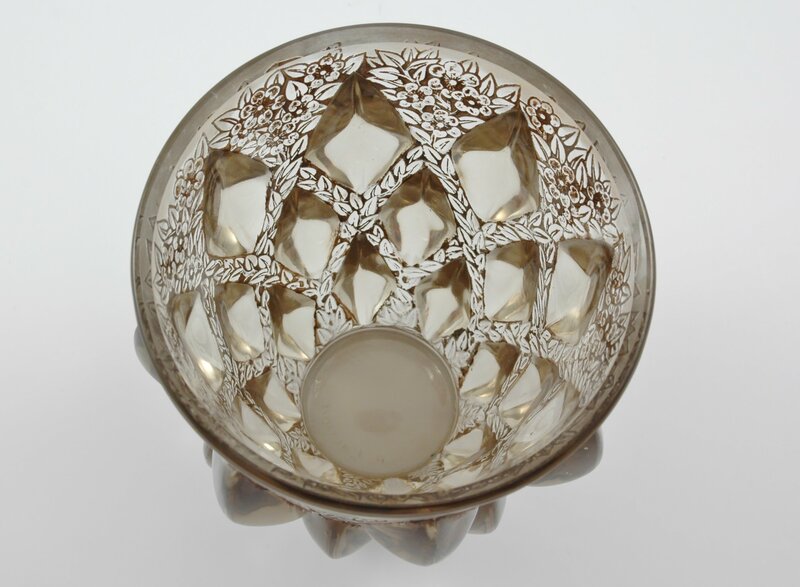 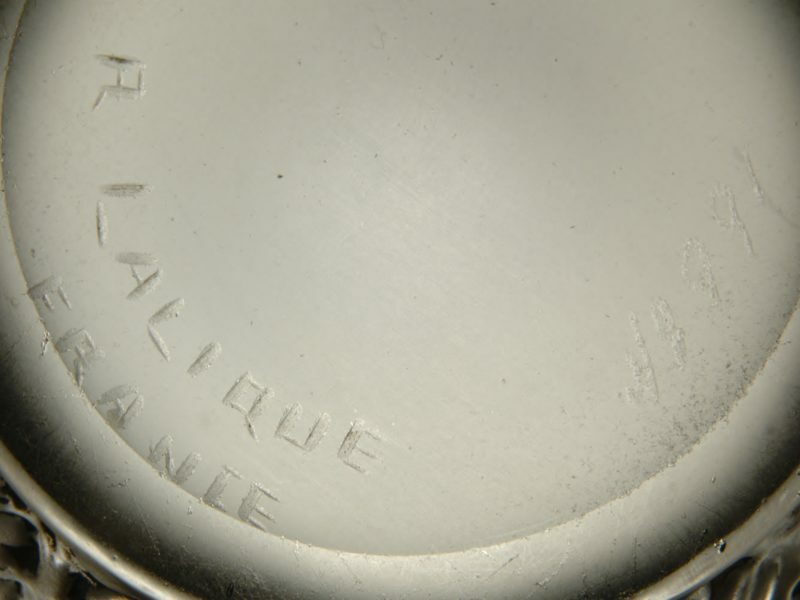 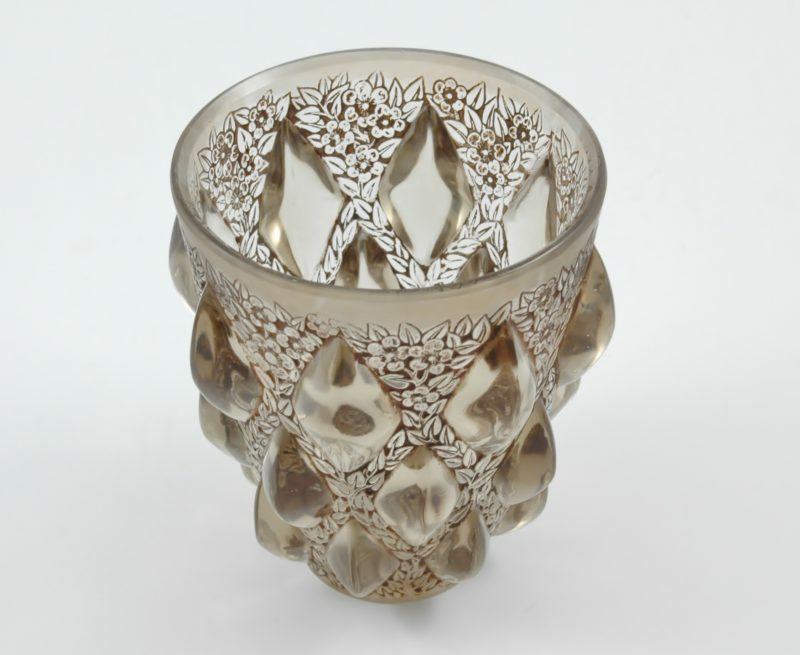 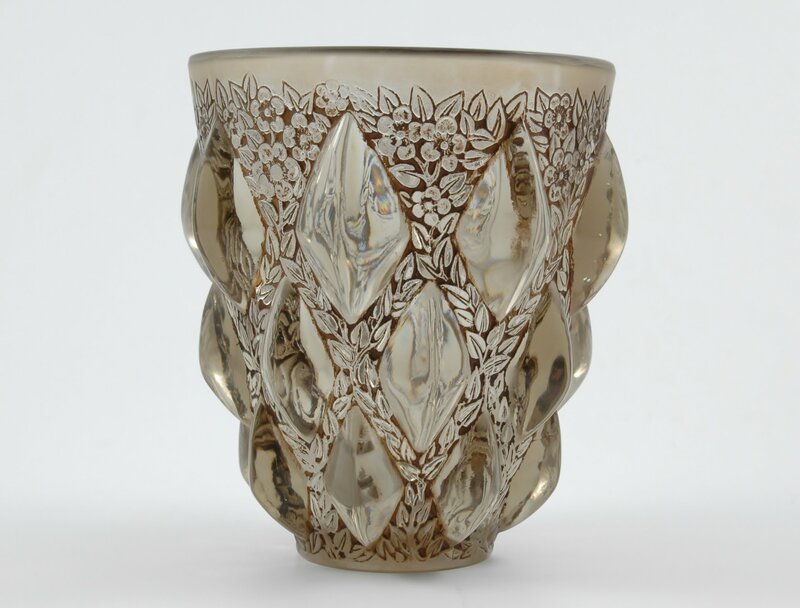 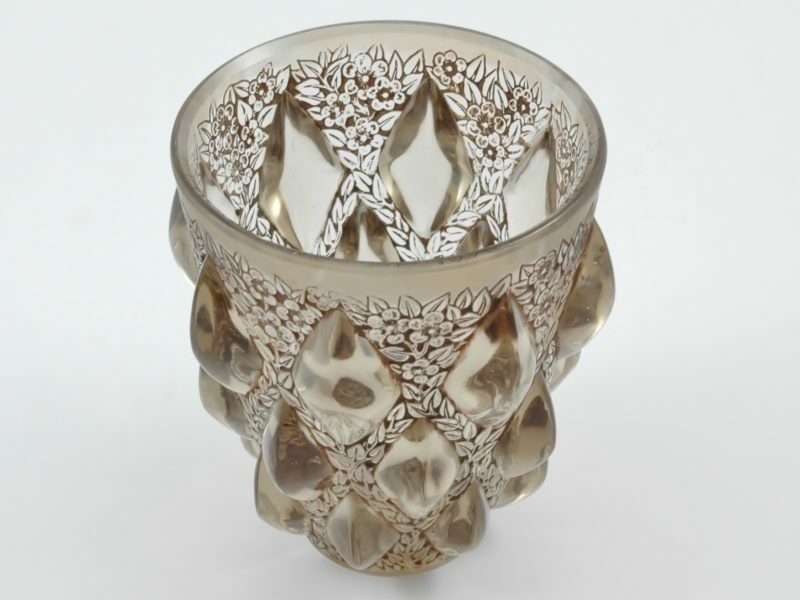 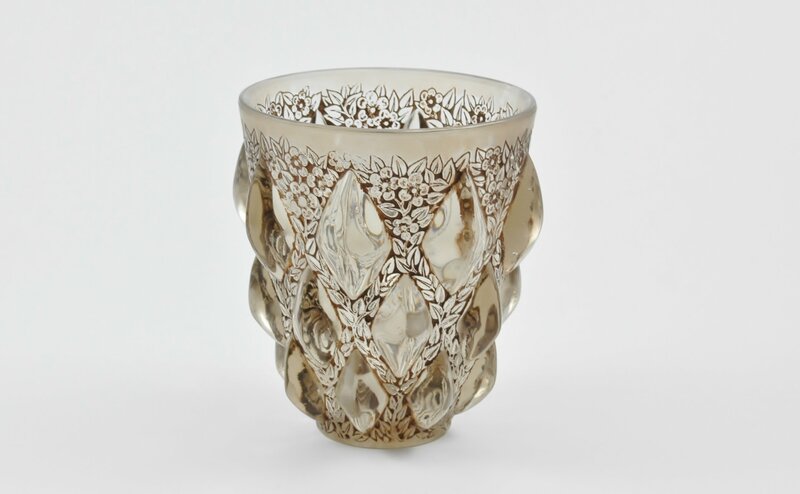 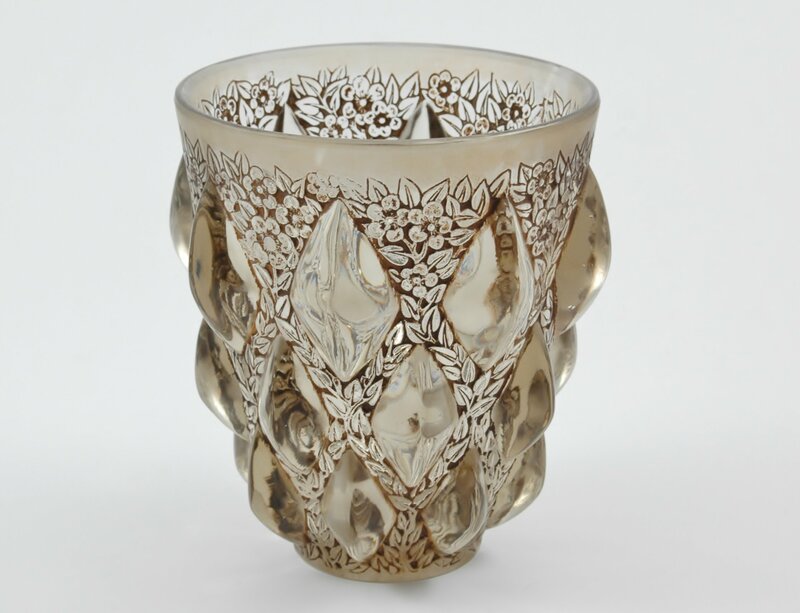 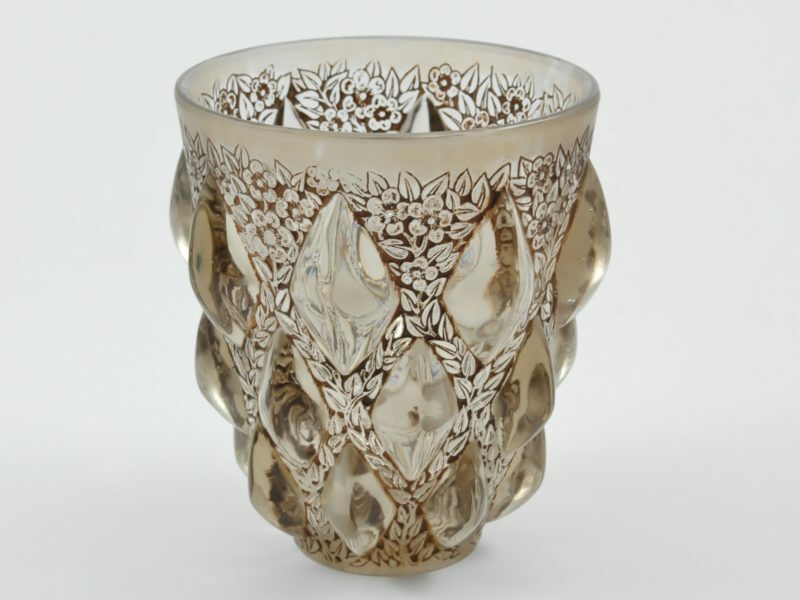 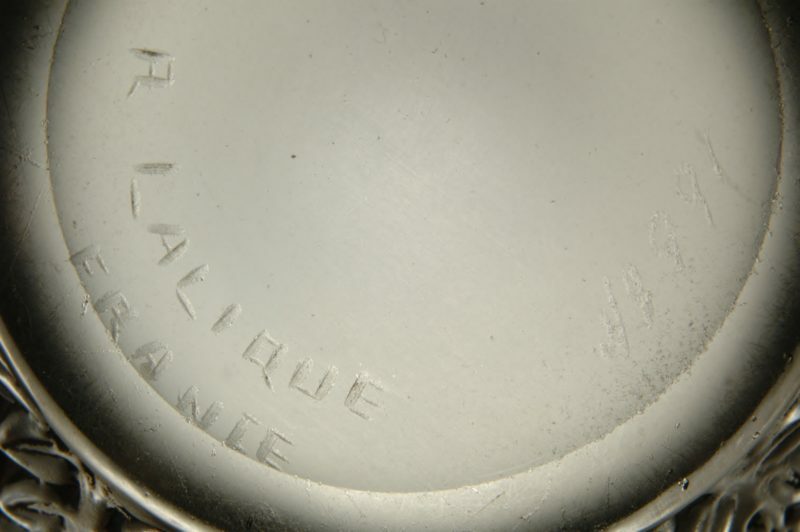 Lalique France”. 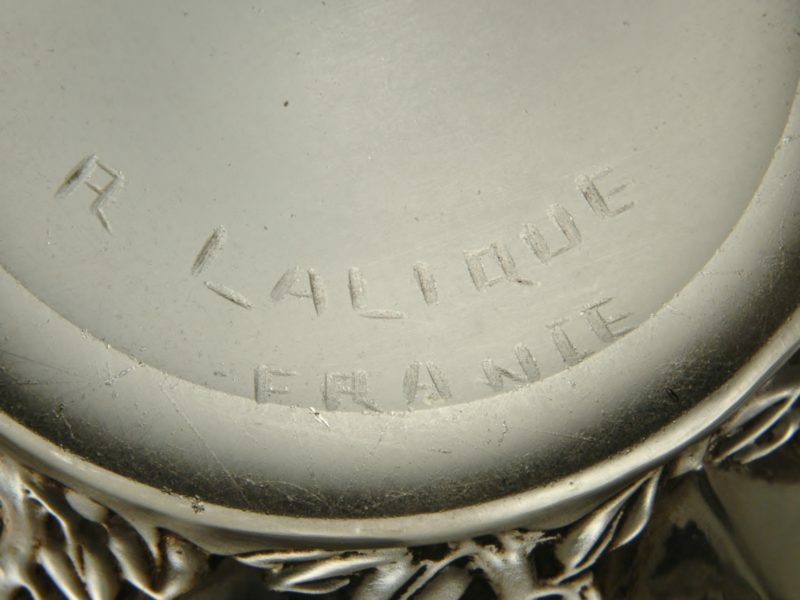 Circa 1927. 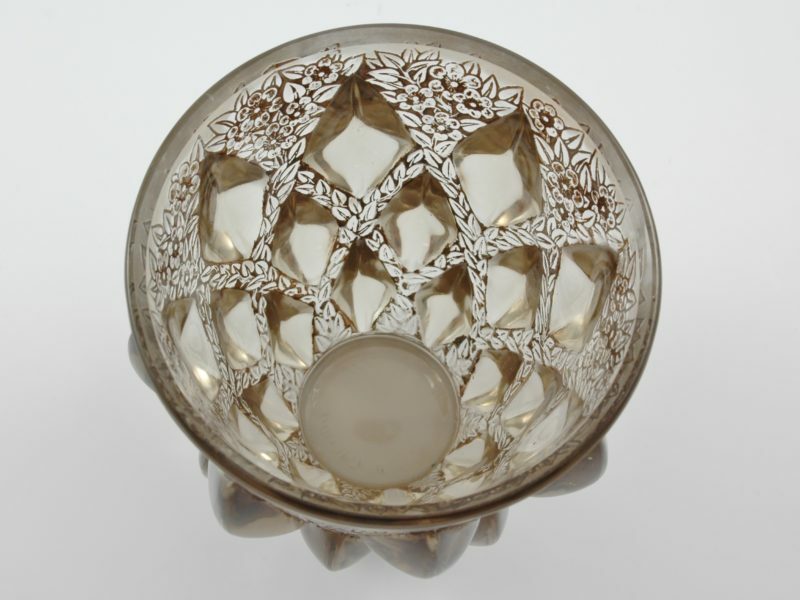 Dimensions: 12.6 cm high by 10.6 cm top diameter by 5 cm base diameter.